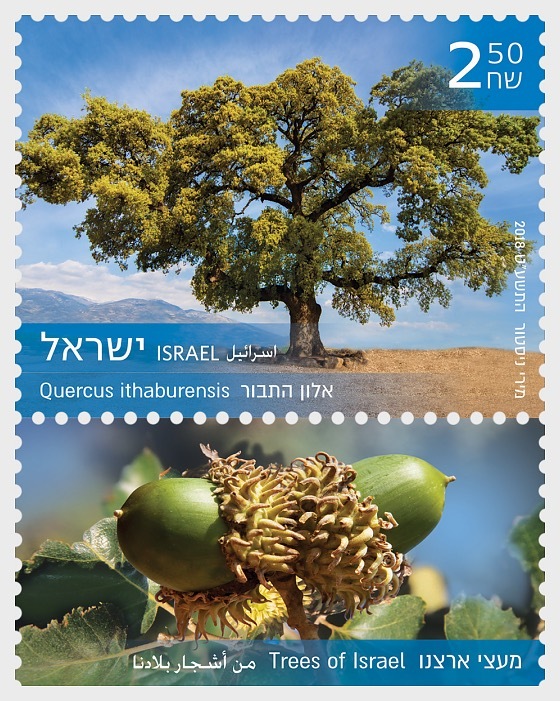 Eretz Israel was blessed with some 70 species of trees, most of which grow in the cooler and rainy Mediterranean region. Some of them, such as the oak species and the Aleppo (Jerusalem) pine make up the majority of Israel’s forests and groves. Most of these tree species are evergreens, thus the groves remain green year-round. The most common species are the Palestine oak (Quercus calliprinos) and the Jerusalem pine (which is mostly planted). Noteworthy among the deciduous species that lose their leaves in the autumn is the Mount Tabor oak (Quercus ithaburensis), which is the sturdiest of the oaks and has the most impressive treetop. Most of the wild trees in both the forests and cities of Israel are pollinated by the wind and have small, modest blossoms. The Judas tree (Cercis siliquastrum), with its magnificent cloak of blossoms, is the most prominent among the species that are pollinated by insects, followed by the Greek strawberry tree (Arbutus andrachne), known for its blossoms as well as its red trunk. These colorful species are always a minority and are never the main component of a plant composition.